Clap your hands everybody / If you got what it takes / ‘Cause I’m Kurtis Blow and I want you to know / That these are the breaks! 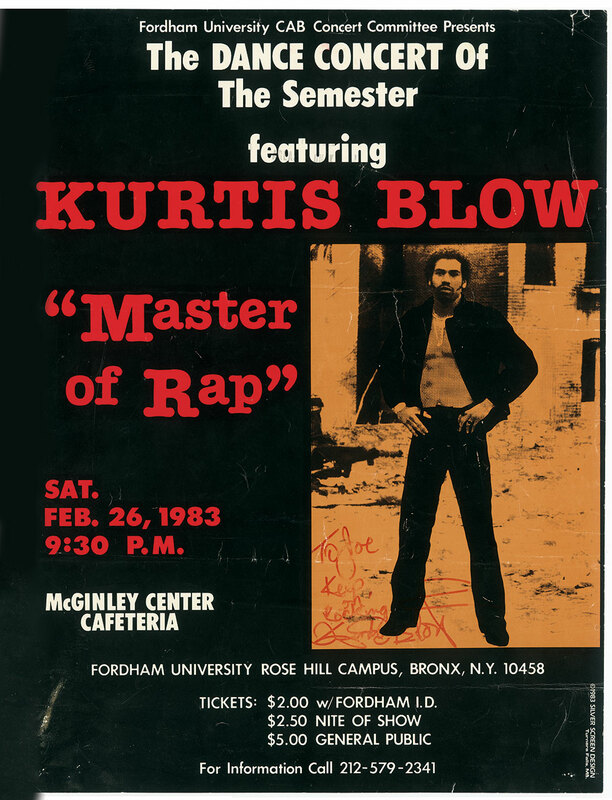 On February 26, 1983, three years after releasing his smash single “The Breaks”—the first-ever rap hit on a major label—Kurtis Blow played a sold-out show in the McGinley Center on Fordham’s Rose Hill campus. “It was a great performance. 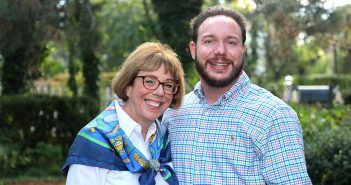 He was really, really entertaining,” said Joe Cerra, FCRH ’84, chair of the concert committee at the time. “We opened the doors early and had a mixer with a DJ.” Mimes and Mummers, Rose Hill’s theater company, had an earlier performance that evening, so people were able to go to both shows. 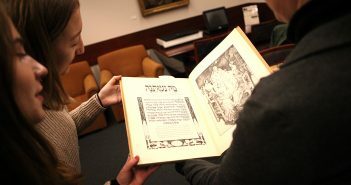 “It was a really great night on campus,” Cerra said. 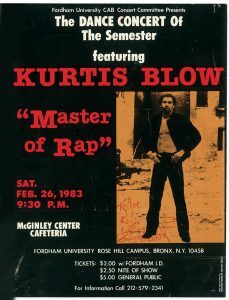 Considered by many to be the first commercially successful rap artist, Blow was a breakdancer and club DJ in Harlem and the Bronx in hip-hop’s early days. His influence became so significant that rapper Reverend Run of Run-D.M.C.—who was Blow’s regular DJ for a time—called himself the “Son of Kurtis Blow” when he was first starting out. Mark Naison, PhD, professor of history and African American studies at Fordham, interviewed Blow in 2004 for the University’s Bronx African American History Project, which just made public its digital archives containing more than 300 oral histories.